Xbox announces drama production partnership with Channel 4 | What Hi-Fi? Xbox Entertainment Studios has joined forces with Channel 4 to work on the co-production of a new eight-episode drama series called Humans, which will premiere next year. Humans is an adaptation of Sveriges Television and Matador Film's acclaimed series Real Humans and will be shown both on Channel 4 and on the Xbox platform in North America. British company Kudos will produce the series. "Humans not only questions personal relationships, we loved how this sci-fi show toys with reality and our connection to technology," said Xbox Entertainment Studios President Nancy Tellem (above). "This deal underscores Xbox Entertainment Studios' commitment to programming premium TV series with global partners and creating engaging interactive experiences." The announcement comes amid reports from the US that Microsoft is looking towards original TV programming to boost the number of Xbox console sales and Xbox Live subscribers. 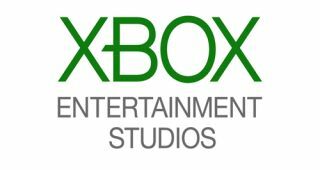 According to Bloomberg, the new Xbox television studio division now has six series in the pipeline – including Humans – and a further 12 projects in the development stage. Bloomberg quoted Phil Spencer, the new head of the Xbox business, as saying "TV, as the highest-reach form of entertainment you can find, is a critical part" of gaining new customers. It was also suggested that, while Netflix analyses subscribers' favourite actors and genres, Microsoft is aiming its new service at its core gaming audience of males aged 18-34.